An avid cyclist plans to bring his passion for bike racing to Brooklyn Bridge Park. Joshua Rechnitz announced Thursday that his nonprofit, the New York City Fieldhouse, will build a $40 million multi-purpose recreation center on the inland edge of the park bordering the BQE. 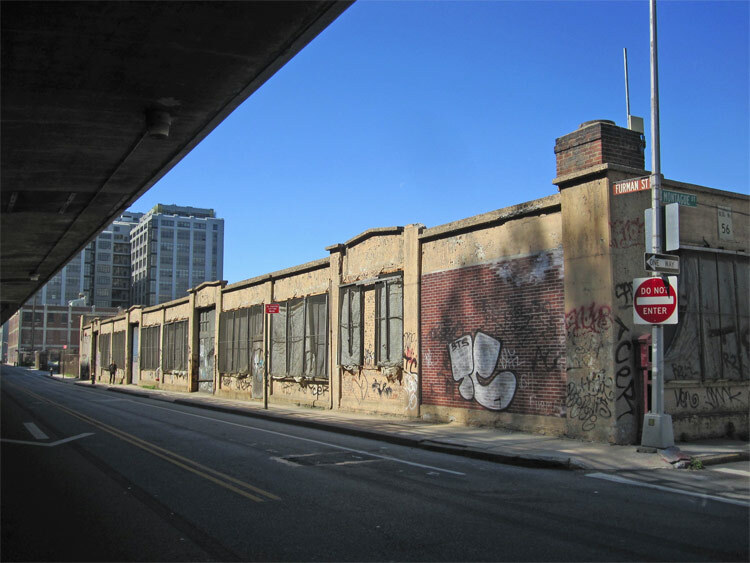 Now occupied by a deteriorating industrial building used for storage by the Brooklyn Bridge Park Corporation, the new facility designed by Thomas Phifer and Partners will include a modern velodrome along with space for a variety of other recreational activities. Architects have not begun designing the 115,000 square foot Fieldhouse, but the facility is expected to blend well with Michael Van Valkenburgh’s surrounding landscape. 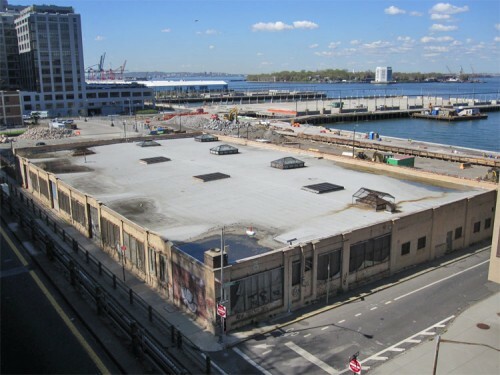 The roof, which will be visible from the Brooklyn Heights Promenade above, is expected to become a signature design element and the structure will aim for LEED certification. Inside, the velodrome’s 200-meter inclined track will dominate the space, but basketball, tennis, volleyball, and gymnastics will also be accommodated. 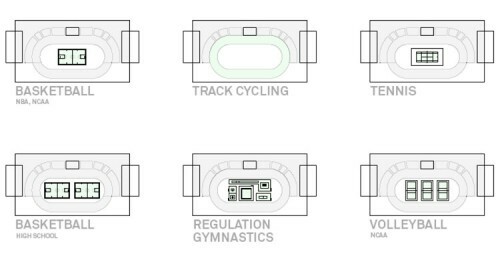 Seating for nearly 2,500 people will be provided around the bike track. Maintenance areas and public restrooms for park visitors will also be provided. 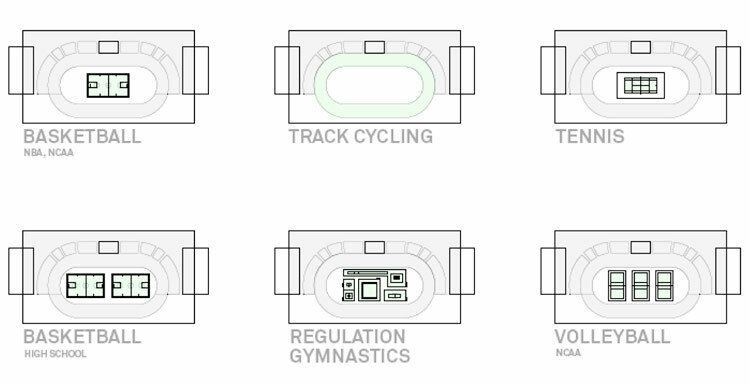 Besides competitive racing, the Fieldhouse will also offer the community cycling lessons, classes, and amateur races. Operations are expected to be self-funding. City officials and Brooklyn Bridge Park representatives praised the plans for bringing a year-round use to the park. “We want this to truly be a community endeavor that will add amenities for park users and provide a much needed all-weather sports facility,” Rechnitz said in a statement. A series of public meetings with the community will be scheduled to help guide the project forward and, pending review, construction could begin within a year and a half.